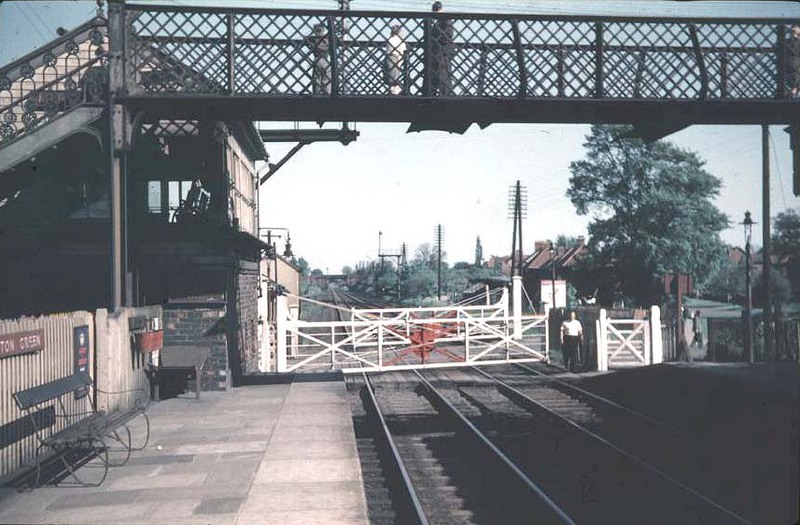 Looking towards Coventry from the Coventry end of the up platform with the signal box on the left on 30th May 1955. On the left hanging from the fencing are fire buckets filled with sand whilst underneath can be seen a porters barrow. In the distance can be seen the signal gantry which guarded the down refuge siding. The photographer was well known to signalmen and as a result he obtained numerous photographs from rare perspectives. The signalman at Marston Green at this time was Vic Goodwin and it is thought that he is the man in the white shirt.